Girls Rock!, started in 2009, is held once a year at Grants Pass High School. This year’s event is March 2, 2019. 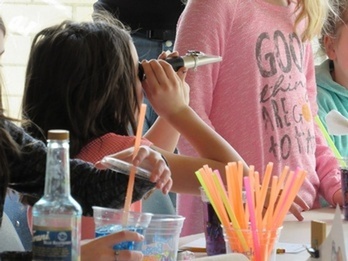 This is a day of fun-filled, hands-on workshops for girls to learn about science, technology, engineering, and mathematics. Light breakfast items are offered in the morning, and lunch is provided. Everything is FREE for girls 9-13 years old; each girl must be accompanied by an adult. New workshops are featured every year, so if you’ve attended before, come and see what is new this year!